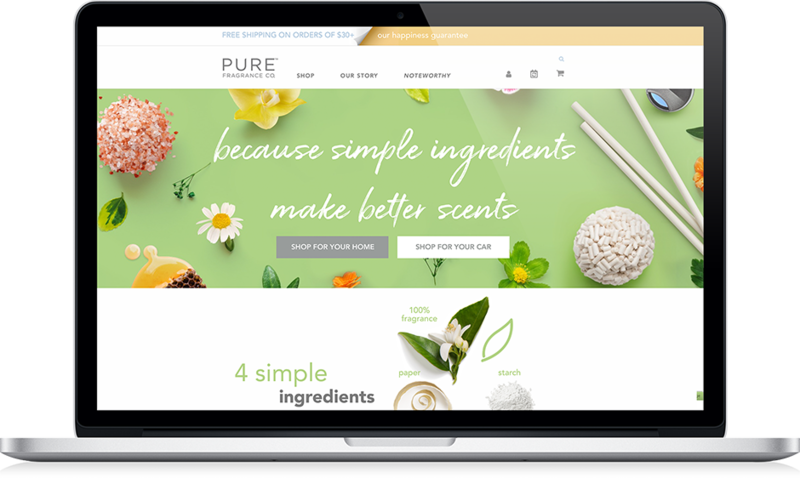 Pure Fragrance Co. is disrupting the air freshener category by removing the crazy chemicals (PROPANE!) contained in home and car air fresheners offered by the mass brands. 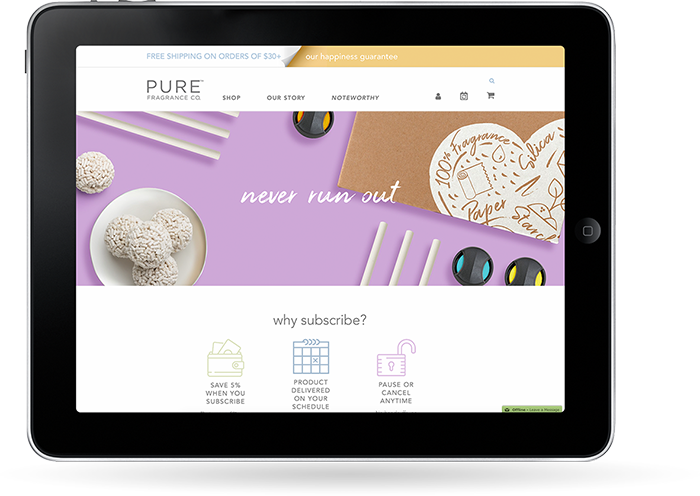 A two-part challenge, we needed to identify the target consumer ﬁrst, then determine the best messaging to immediately communicate the multiple beneﬁts of Pure’s products which are healthier for her family, more effective overall, and offer less-mess alternatives to traditional product forms. The insight: Simple Ingredients make better scents. 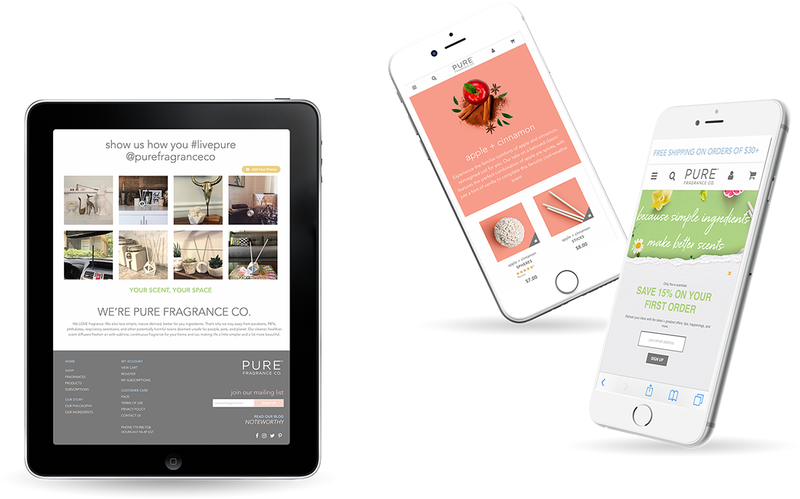 Portraying the fragrance notes in the product is as equally imperative as communicating what’s NOT in the product. 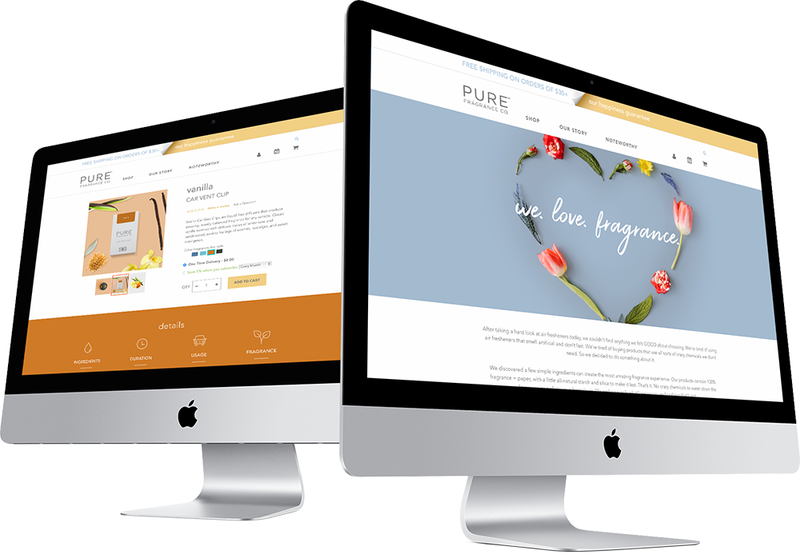 Once we completed the initial strategy and creative, iFuel developed the Magento 2 eCommerce website and a robust subscription program.